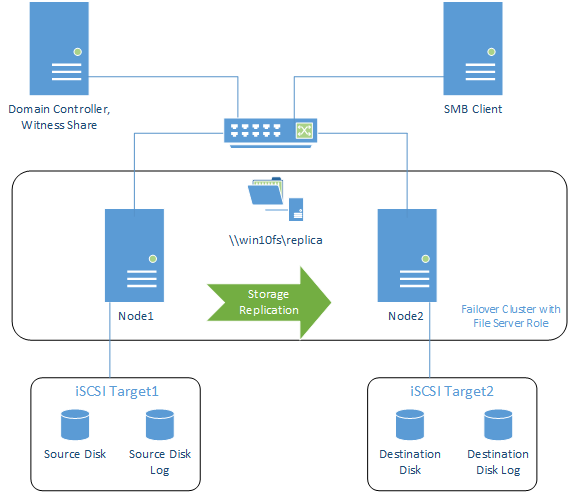 As soon as Microsoft introduced Storage Replica, we decided to check if it’s true that convenient (to get detailed info, try these links: http://technet.microsoft.com/en-us/library/dn765475.aspx and http://blogs.technet.com/b/filecab/archive/2014/10/07/storage-replica-guide-released-for-windows-server-technical-preview.aspx). 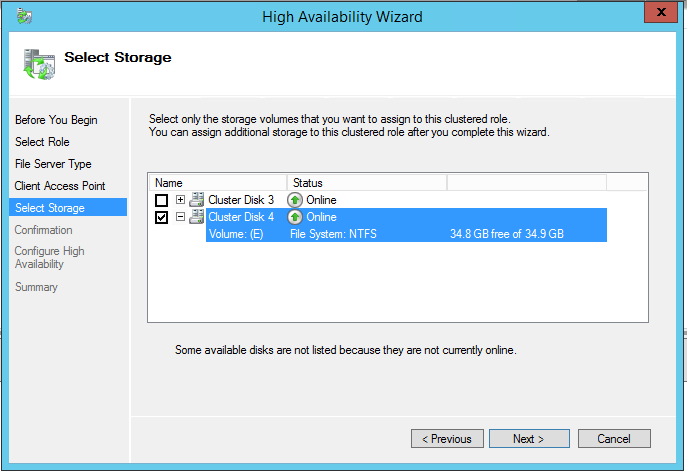 Microsoft claims it can create clusters without any shared storage or SAN. 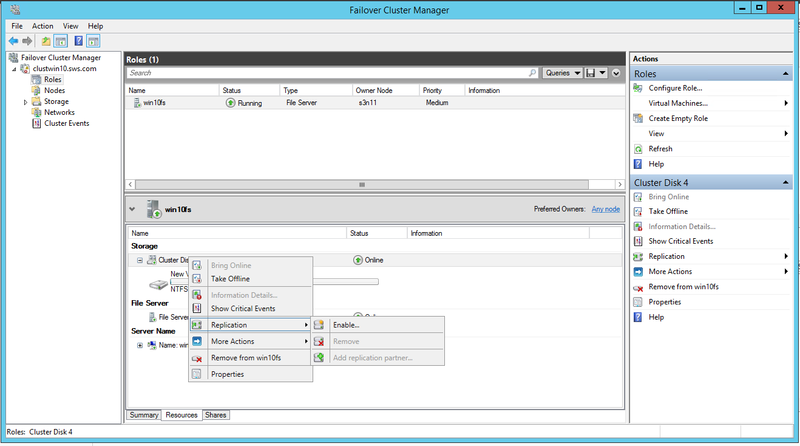 In order to test this interesting feature, we decided to try Storage Replica with Microsoft Failover Cluster. 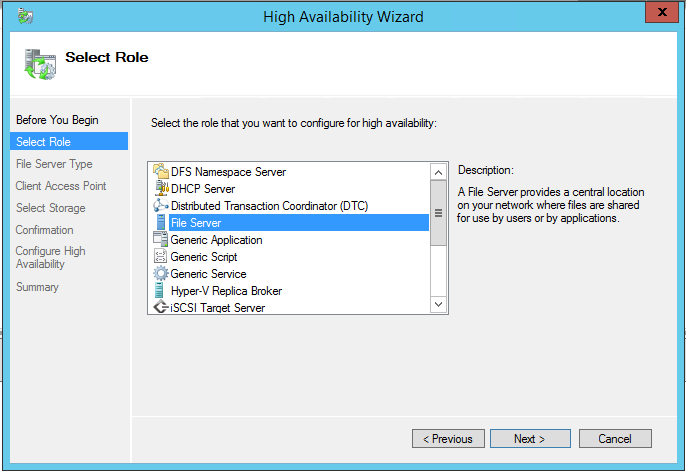 We chose the File Server role for this example. 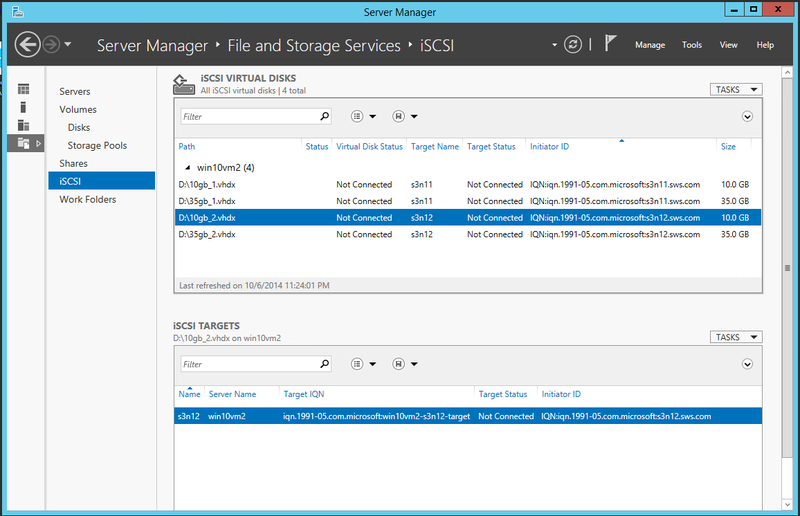 The server with the MS iSCSI Target, which provides iSCSI storage (not shared – for the sake of testing the capabilities of Storage Replica) for the cluster nodes. 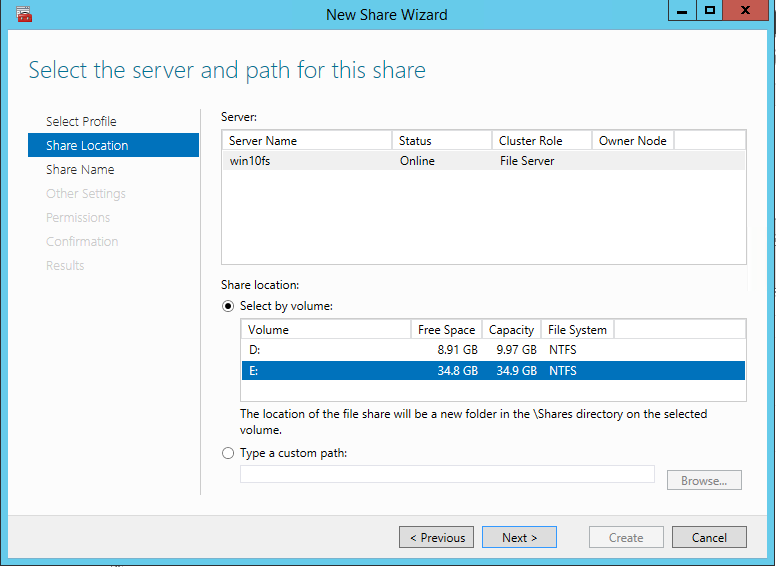 We also have to create SMB 3.0 share to use as a witness (because Storage Replica cannot fulfill this task). 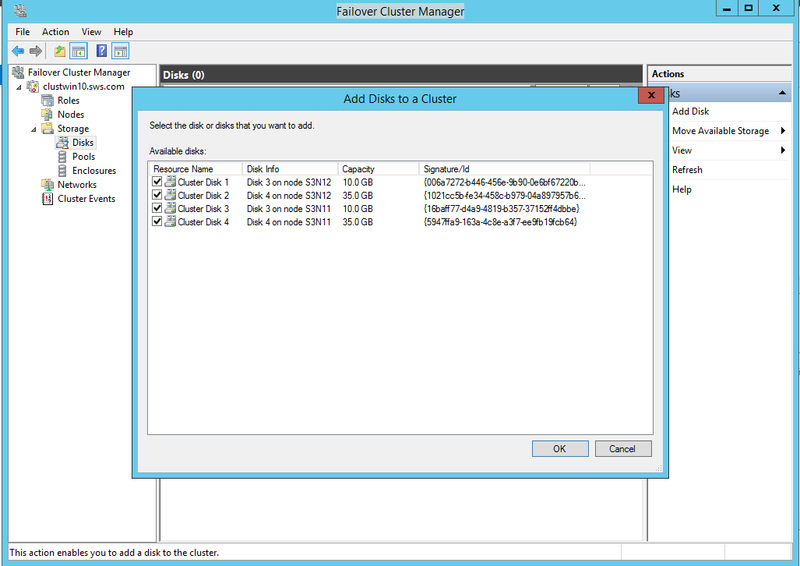 Cluster nodes are first joined into the domain. Connecting the devices through the initiator on both the nodes, where I’m going to test Storage Replica. Initializing them, choosing GPT (this is important!) and formatting the disks. For both the nodes, I choose the same letters (this is important too!). 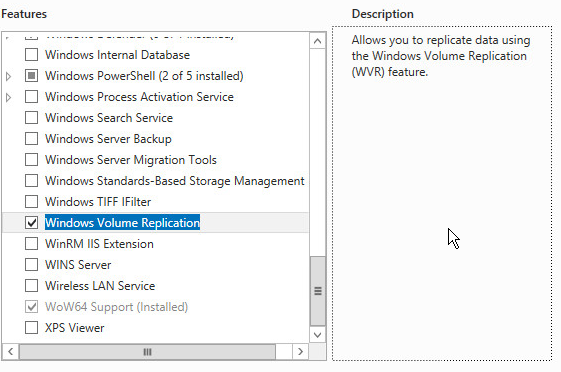 Using Add Roles and Features wizard, I’ll add Failover Clustering, Multipath I/O and Windows Volume Replication on the nodes. Now I’ll go to Add Roles and choose the file server role. Going through the standard wizard, I see the Select Storage step, where I’m choosing only the data disk, not the disk for logs. Successfully finishing the wizard, I’m getting the role. Highlight it and choose the Resource stab. 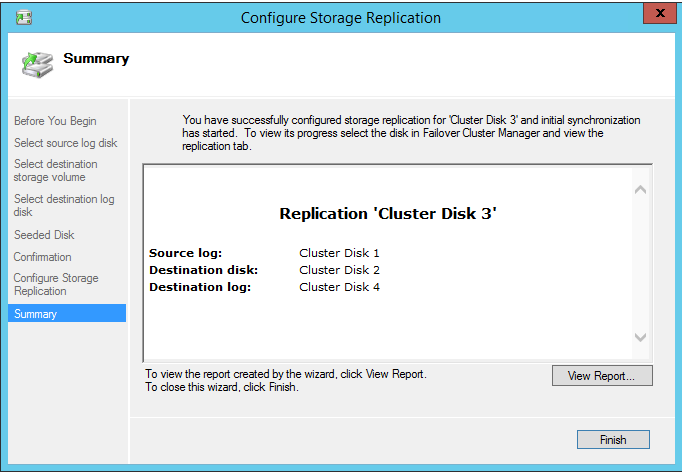 Right-click the added cluster disk and choose Replication – Enable. 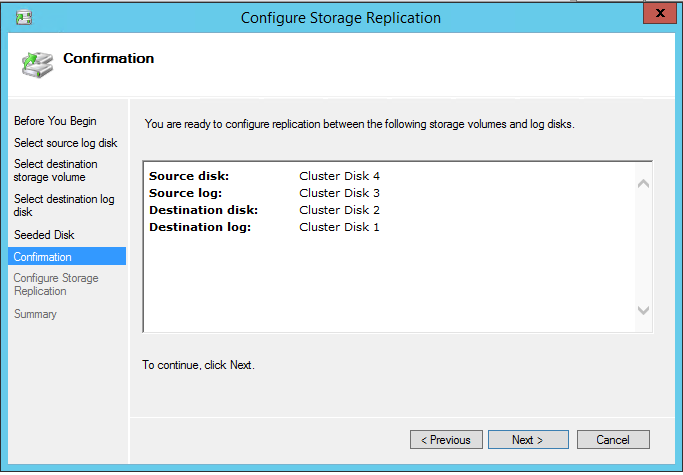 Choose the log disk in the replica creation wizard that appears. 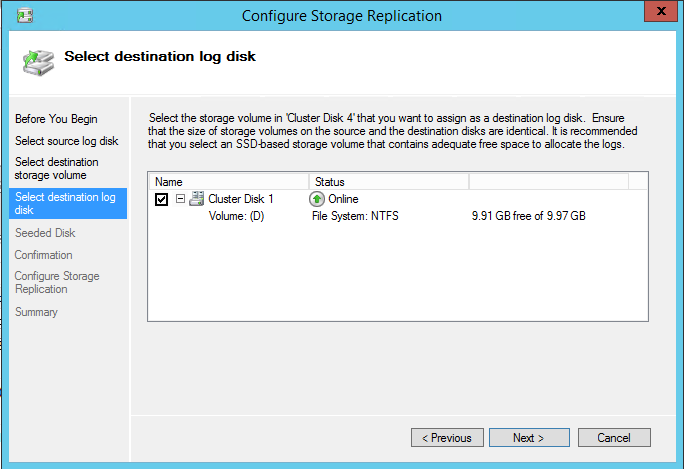 You need to change the owner of all the disks to the replica destination node. 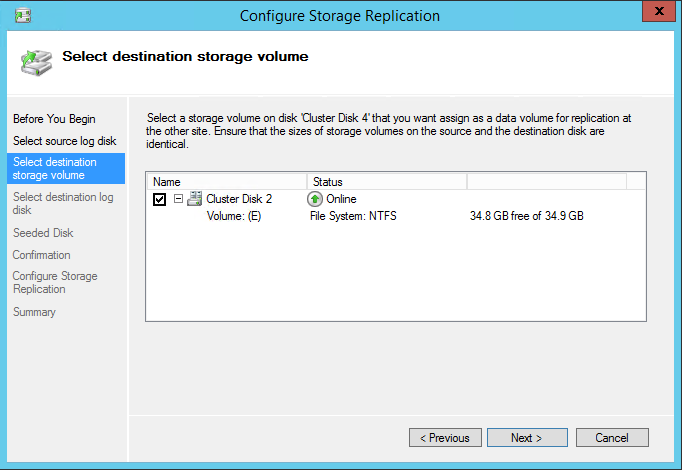 This can be done through Move Available Storage – Best Possible Node. 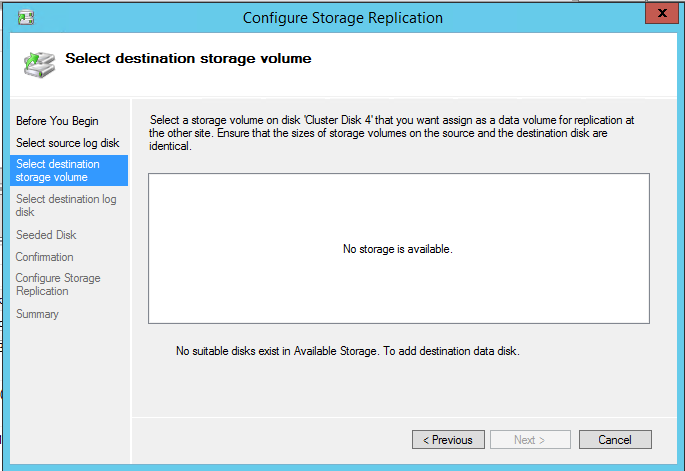 Getting back to the Storage Replica creation wizard – now the disk is available there. 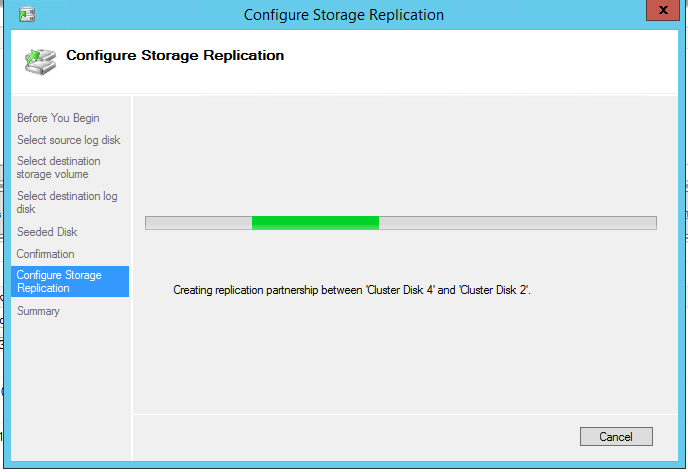 Setting the log disk for the replication. 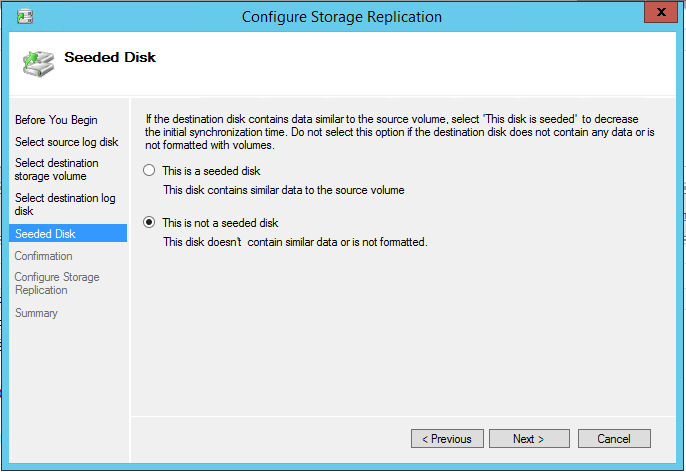 The disks are not synchronized, so I’m choosing the second option. The data is being synchronized. The next screenshot shows my success. Note: If you’re getting an error like the one on the next screenshot, recreate the devices and connect them again. Otherwise, you’d have a hard time getting the disks to operate normally. The replica and a slightly changed disk display are the signs of success. 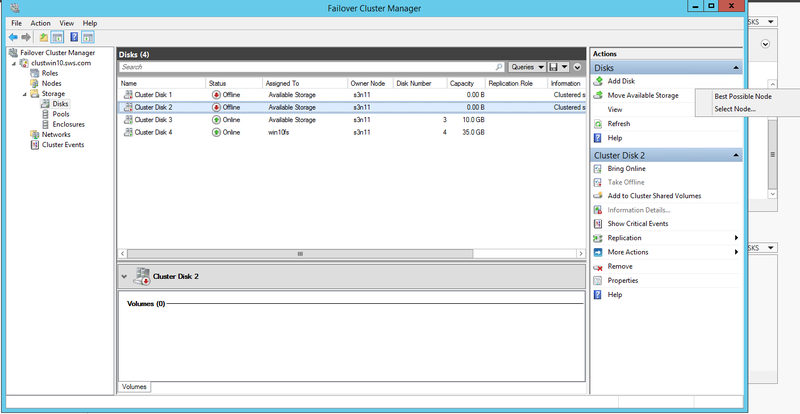 Here on the screenshot, you can see that cluster disk 1 and others have different sizes from the initial ones. The reason is in the need to create them again – so they were added under new numbers. The next step is to create a file share – it’s a standard wizard dialog, so you’ll surely figure it out without my instructions. 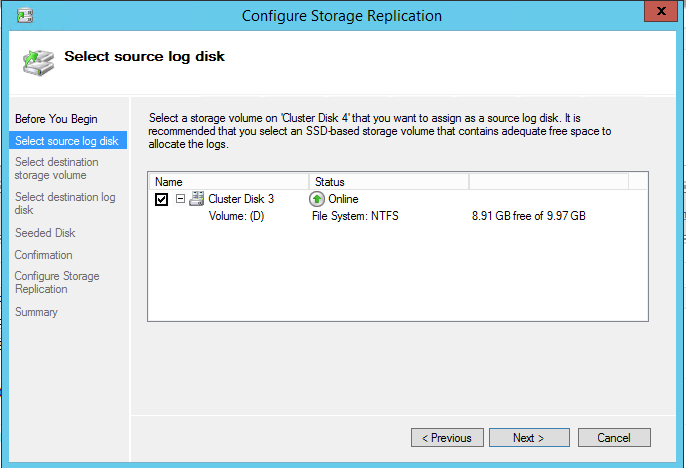 The only thing I’d like to point out the log disk is also available as the share location. 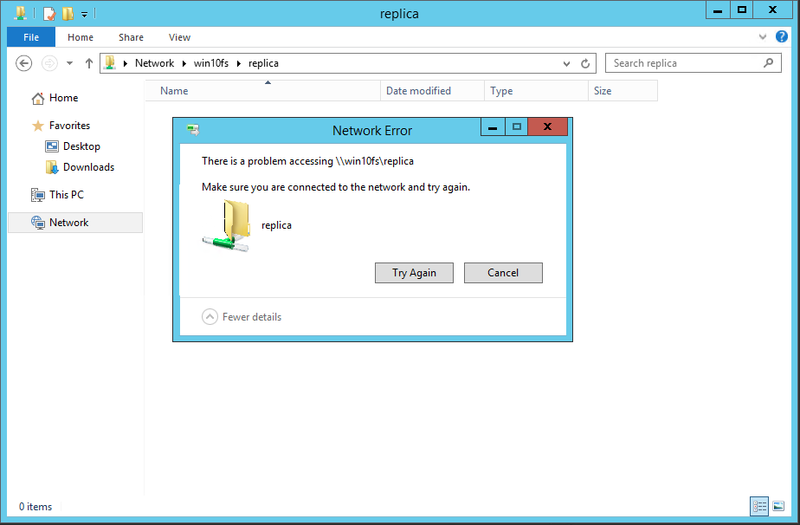 I sure hope Microsoft will repair this issue, because it may cause some trouble for inexperienced users. 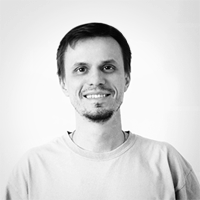 After having created the share, I’ll upload something there and crash the owner node of the cluster during the process. 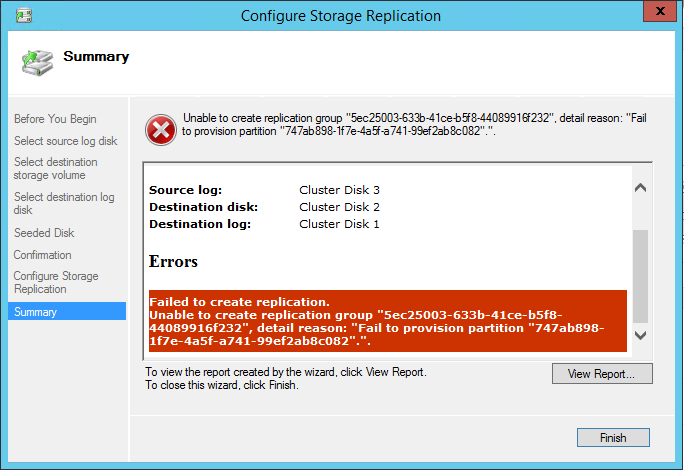 The Continuous Availability option is enabled in the share, so when a node crashes, SMB Transparent Failover must occur. Well, it did not. At the moment of the node crash, the speed went down, so the copying died as well because of the timeout. 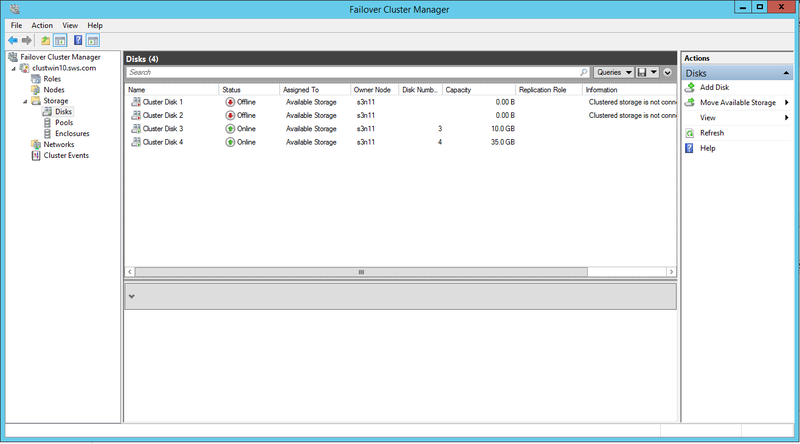 As you can clearly see, Failover Cluster in File Server role works fine with Storage Replica with only a slight trouble. 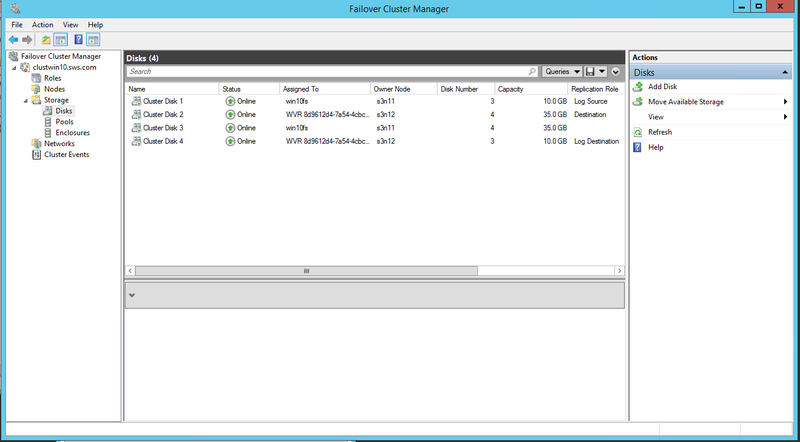 Though we’ve enabled Continuous Availability in the SMB share, the operation was disrupted during failover. 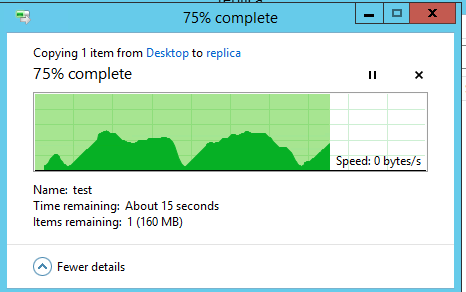 Doesn’t look like transparent failover at all.